Home owners like military renters. Why? Because they greatly reduce the risk of them losing any money. A home owner is scared that 1) the renter will stop paying rent and it will take months to evict them or 2) the renter will tear up the home and will not be able to cover the repair costs when they move out. Home owners know that military cannot walk away from debts without repercussions. That’s why, as a military renter you should take advantage of this and negotiate a lower rent. My track record on this is solid, as I’ve rented very nice homes at each base I’ve been to, and have lowered my rent by about $200-$300 every time. I normally look for homes that are slightly out of my price range, then negotiate down to my BAH. Nicer homes have a greater margin for negotiation as many homeowners expect to take a small loss in return for decreased risk. As a homeowner myself, I recently rented our home for a reduced rate to a military couple because I saw the advantage in having someone stable and accountable in my home. To aid your negotiations, offer to sign a three year lease. This is appealing to the homeowner, but is also an advantage for you. We move enough… the last thing we want to do is move in between a tour. Locking in your lease for three years gives you fixed rent and less worry that you will be kicked out in between lease periods. 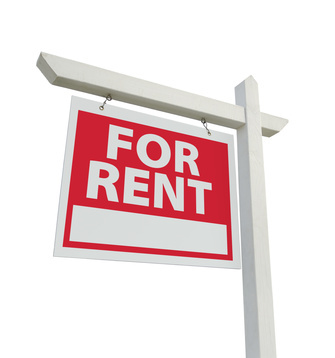 When negotiating your rent, you really have nothing to lose. The worst the home owner can say is no. Before saying no they will likely come back with a counteroffer. There is only one scenario I can think of where you should not try to negotiate. Certain markets have neighborhoods that are highly desirable. For instance, Mililani in Oahu, HI, is one because it is known for good schools. Many of the homes there will having waiting lists to tour the home when it’s available for rent. If you see a situation like this, then you need to jump on a house when you really like it. However, these neighborhoods are an exception, and will reveal themselves when you start calling around. In summary, do not underestimate your value as a potential military renter. Get out there and make a deal.